RICHMOND, Va. (AP) _ Gov. Ralph Northam is proposing a plan to use extra state revenue from federal tax cuts to give a tax break to low- and moderate-income families. Northam outlined his proposal to reporters Friday, ahead of a speech to state legislative committees next week. Northam says recent changes in federal tax law have so far largely benefited corporations and high-income people. He wants to make the earned-income tax credit fully refundable, which he says could mean a windfall of “several hundred dollars” for about 400,000 families in Virginia. The earned-income tax credit provides support to low- and moderate-income working parents. 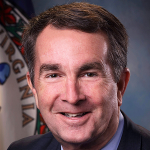 Northam’s proposal would have to be approved by the General Assembly. The governor says he also wants to use the revenue to invest in workforce training programs, broadband and education.